When I retired as a Space Shuttle Commander from NASA in 2011, I was certain that my spaceflight days had come to a close. 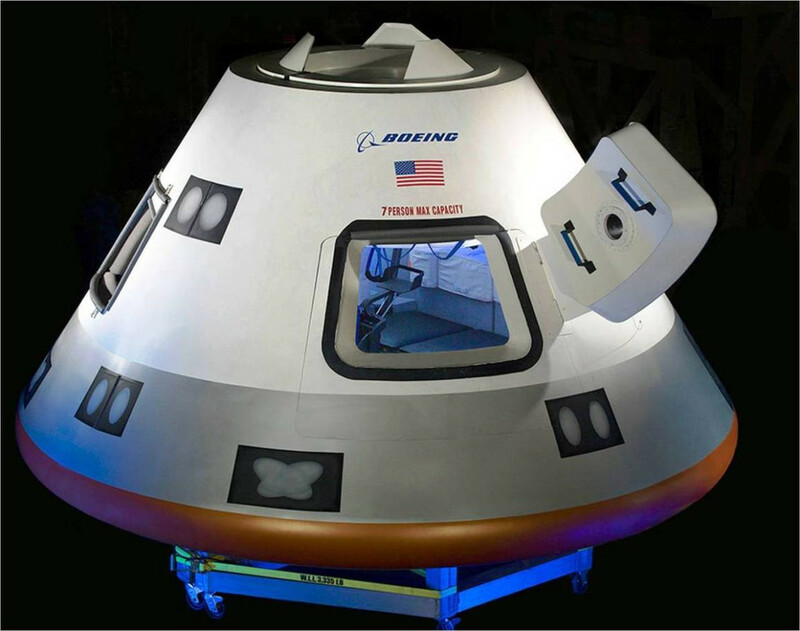 Last week Boeing announced that they will give me one more spaceflight opportunity as the official test pilot for the inaugural flight of Boeing’s Starliner spacecraft. But I will not be making this journey alone. 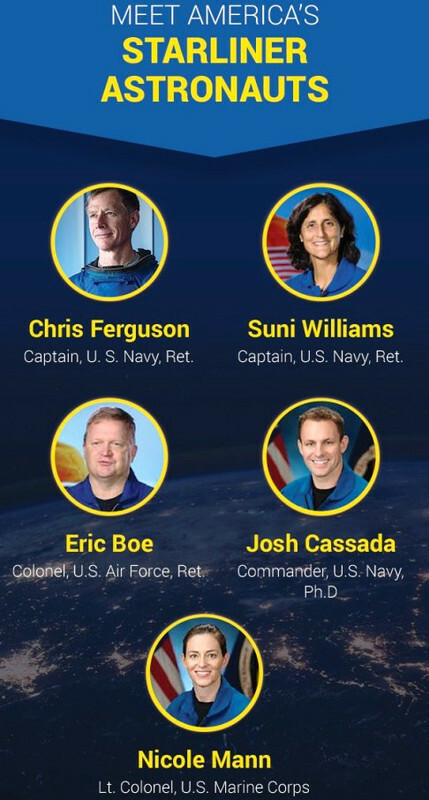 It’s my honor to introduce you to the four truly amazing American astronauts NASA has selected as Starliner crew members. 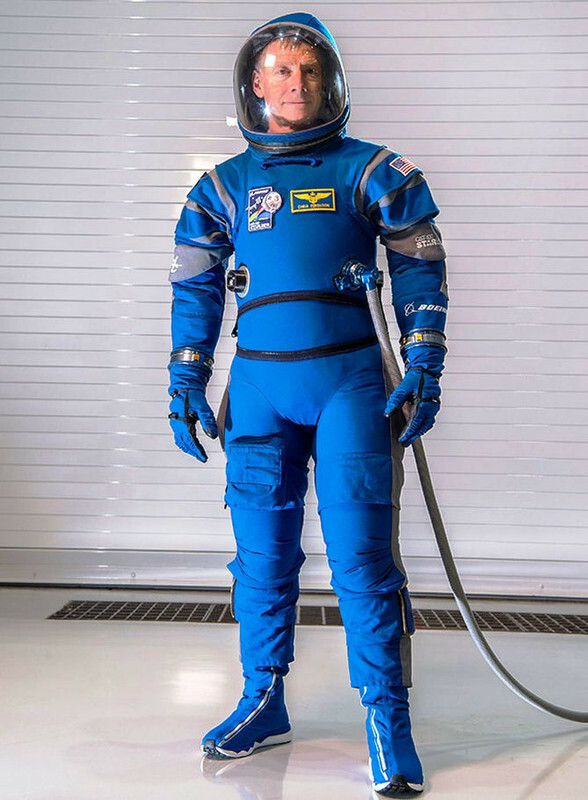 The astronauts and I will be flying in the groundbreaking Starliner spacecraft – a product I have been personally involved in helping to develop the last few years with my team at Boeing. Watch U.S. Fly will keep you updated us as we embark on the journey of a lifetime to the International Space Station on America’s newest crewed spacecraft. We'll probably see more and more of this as NASA embraces private companies for space exploration. WASHINGTON — SpaceX has filed a protest over the award of a launch contract to United Launch Alliance for a NASA planetary science mission, claiming it could carry out the mission for significantly less money. The protest, filed with the Government Accountability Office (GAO) Feb. 11, is regarding a NASA procurement formally known as RLSP-35. That contract is for the launch of the Lucy mission to the Trojan asteroids of Jupiter, awarded by NASA to ULA Jan. 31 at a total cost to the agency of $148.3 million. The GAO documents did not disclose additional information about the protest, other than the office has until May 22 to render a decision. NASA said that, as a result of the protest, it’s halted work on the ULA contract. "NASA has issued a stop work order on the agency's Lucy mission after a protest of the contract award was filed with the Government Accountability Office," agency spokesperson Tracy Young said Feb. 13. "NASA is always cognizant of its mission schedule, but we are not able to comment on pending litigation." SpaceX confirmed that the company was protesting the contract. "Since SpaceX has started launching missions for NASA, this is the first time the company has challenged one of the agency's award decisions," a company spokesperson said in a statement to SpaceNews. 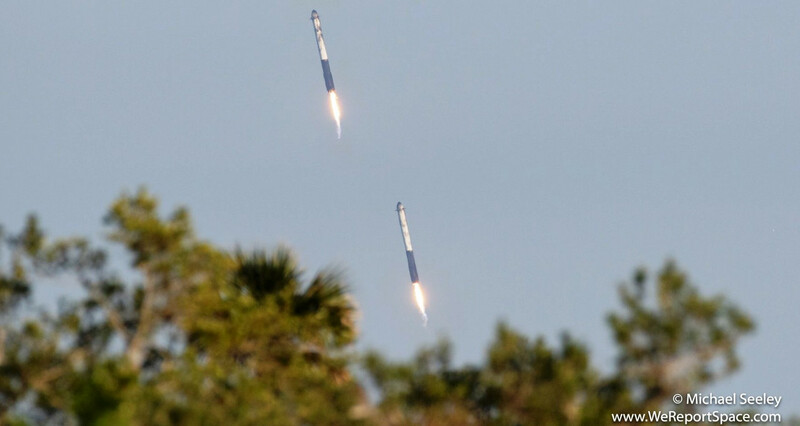 "SpaceX offered a solution with extraordinarily high confidence of mission success at a price dramatically lower than the award amount, so we believe the decision to pay vastly more to Boeing and Lockheed for the same mission was therefore not in the best interest of the agency or the American taxpayers," the spokesperson added. ULA is a joint venture of Boeing and Lockheed Martin. NASA said at the time of the award that it was a competitive procurement, but did not disclose the number or identity of bidders. 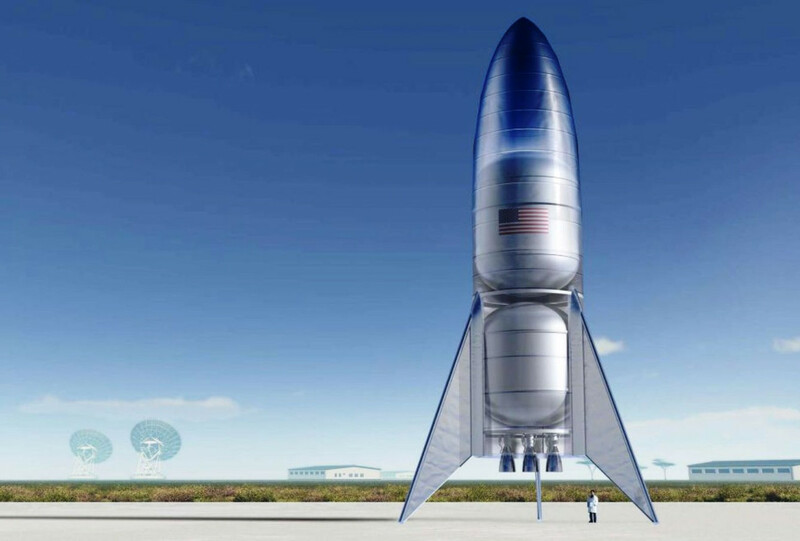 SpaceX did not comment at that time if it submitted a bid, although industry sources, speaking on background, said that SpaceX proposed launching the mission on a fully expendable Falcon 9 rocket in order to maximize performance. A key factor in the decision to award the contract to ULA was schedule certainty. Lucy has a complex mission profile with a series of flybys in order to visit several asteroids either leading or following Jupiter in its orbit around the sun. That results in a launch window that is open for only about 20 days in October 2021. Should the launch miss that window, the mission cannot be flown as currently planned. ULA emphasized its adherence to schedule in its announcement of the contract. "This mission has a once-in-a-lifetime planetary launch window, and Atlas V's world-leading schedule certainty, coupled with our reliability and performance provided the optimal vehicle for this mission," Tory Bruno, president and chief executive of ULA, said in a Jan. 31 statement about the launch award. "ULA entered into an open competition for NASA's Lucy spacecraft and was honored to be awarded this important science mission," ULA said in a Feb. 13 statement to SpaceNews. "This interplanetary mission has an extremely narrow launch window in order to reach all of the desired planetary bodies and accomplish the science objectives. If Lucy misses this launch window, the full mission cannot be accomplished for decades. The White House's proposed 2020 budget cancels the Wide-Field Infrared Survey Telescope (WFIRST), a $3.2 billion space mission viewed as a linchpin of astrophysics research through the 2020s and beyond. And that budget keeps NASA's astrophysics funding so low over the coming years that the agency won't be able to develop another ambitious, big-ticket "flagship" observatory for the foreseeable future, experts say. "If that budget is really the budget, there are not going to be future flagships," said David Spergel, a Princeton University theoretical astrophysicist, who co-chairs the WFIRST science team. "We will have JWST — a wonderful observatory — and that's it," said Jon Morse, who led NASA's Astrophysics Division from 2007 to 2011. He now serves as CEO of the BoldlyGo Institute, a nonprofit devoted to developing space-science missions. JWST, billed as the successor to NASA's iconic Hubble Space Telescope, is currently scheduled to lift off in May 2021, after multiple delays and significant cost overruns. The 2020 federal budget proposal, which the White House unveiled last week, allocates $21 billion to NASA — about $500 million less than the space agency is getting this year. Astrophysics funding stays relatively flat in the proposed "out years," ranging from $902 million to $965 million between 2021 and 2024. That's not nearly enough money to maintain a diverse and balanced research portfolio that includes small, medium-class and flagship missions, Morse said. "By design, in this budget request, you can't fit a multibillion-dollar observatory into the remaining budget," he told Space.com. "That's why they canceled WFIRST — they took away the money. There's no money to execute a mission that costs $3 billion over seven or eight years." Restoring the flagship capability would require, at a minimum, bumping the 2020 astrophysics budget up by $400 million — the amount "saved" with the cancellation of WFIRST, Morse said. WFIRST remains on budget and on schedule for its planned 2024 launch, Spergel said. The observatory features a main mirror 7.9 feet (2.4 meters) wide, the same size as Hubble's. But WFIRST will have a field of view 100 times greater than that of Hubble. 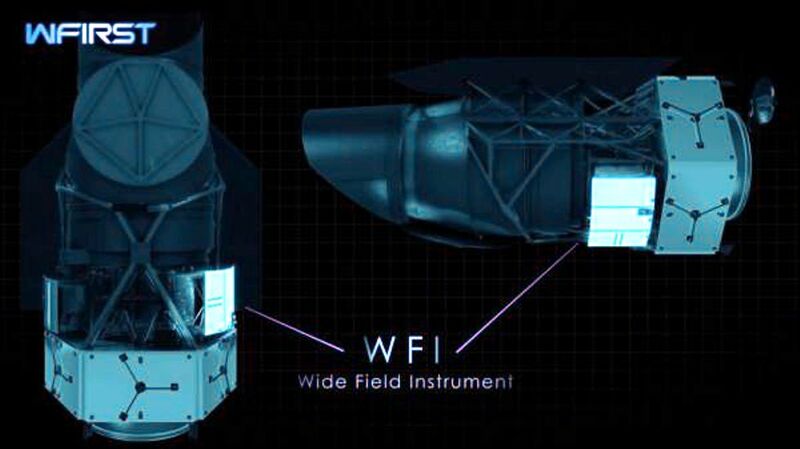 WFIRST will have two science instruments, which will allow the observatory to perform a variety of groundbreaking astronomical investigations. For example, astronomers will use WFIRST to characterize dark energy — the mysterious force behind the universe's accelerating expansion — as never before, discover thousands of exoplanets and image some alien worlds directly. So, axing WFIRST would deal a serious blow to astronomy, astrophysics and the scientific enterprise as a whole, he added. And the step back from big and bold space telescopes that WFIRST's cancellation seems to portend would also threaten the United States' position as a space-science leader, both he and Spergel said. "If we stop doing astrophysics flagships, we stop leading," Spergel told Space.com. That's because flagships tend to be incredibly productive and influential. Think about Hubble, which launched to Earth orbit in April 1990. The contributions of that famous space telescope are too numerous to rattle off here, but they include helping astronomers discover dark energy and bringing the beauty and mystery of the universe to lay people around the world with the most gorgeous cosmic photos ever taken. Hubble is still going strong, but it's been showing some signs of age recently. NASA's other operational flagship-class space telescope, the Chandra X-ray Observatory, is also getting long in the tooth; it launched in 1999. Everyone hopes that JWST will conduct great science for many years to come. But there are no guarantees in that regard, and a bare flagship cupboard after JWST's 2021 launch is a depressing prospect for both Spergel and Morse. "Is that where we're headed with astrophysics after launching JWST?" Morse said. But there is still hope for WFIRST, and for future flagships that may follow in its footsteps. The 2020 federal budget request is just that, after all — a request. An enacted budget must have congressional approval, and Congress has stood up for WFIRST before. "Congress has had strong bipartisan support for astrophysics," Spergel said. "I'm hopeful these cuts in astrophysics will be overturned." This is not just another 384,400-kilometer (238,855 miles) mission to the moon. This is going to be a journey more than 140 times longer. This means that there needs to be enough food, supplies and protection from the harmful radiation of space in order to survive this journey, and even then there’s the question of how much fuel is needed to break free of Earth’s gravity and make it Mars. My wife and I will be at the Kennedy Space Center for this launch. Let's hope it goes! 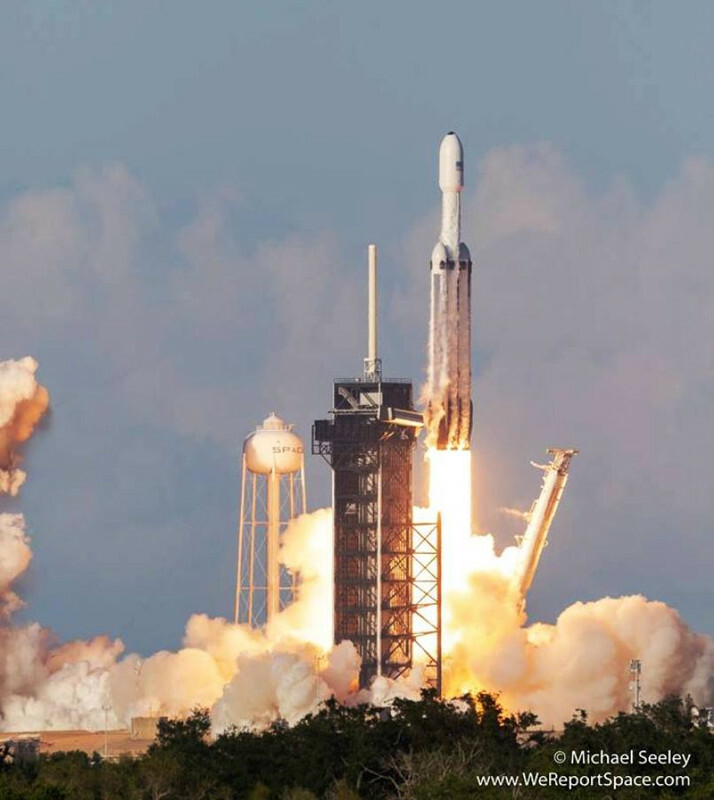 The mighty Falcon Heavy rocket is returning to the Space Coast for its first commercial launch. The Federal Aviation Administration set a launch hazard area for the SpaceX launch this week, noting that the launch is currently set for April 7, with a backup launch on April 9. The launch window is from 6:36 p.m. to 8:35 p.m., according to Spaceflight Now, from Kennedy Space Center’s launch pad 39A. 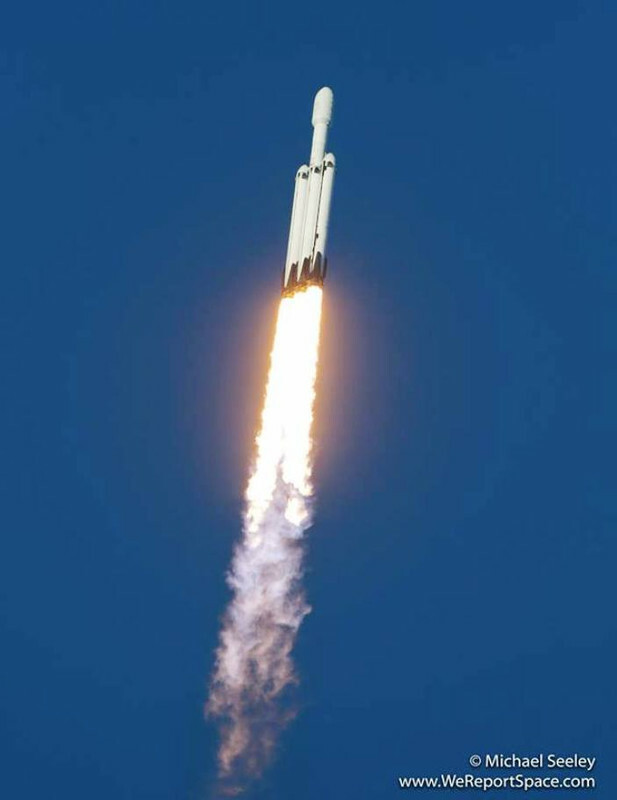 Falcon Heavy, SpaceX’s heavy-lift rocket composed of three boosters strapped together, had its debut flight in February 2018 from the Space Coast. Thousands of people flocked to the Cape to see the most powerful rocket since the Saturn V, which took astronauts to the moon. The upcoming launch will be carrying the Arabsat-6A communications satellite for Saudi Arabia’s Arabsat. The satellite will provide communications coverage primarily to the Middle East and North Africa regions, with a footprint in South Africa, the FAA said in its advisory. 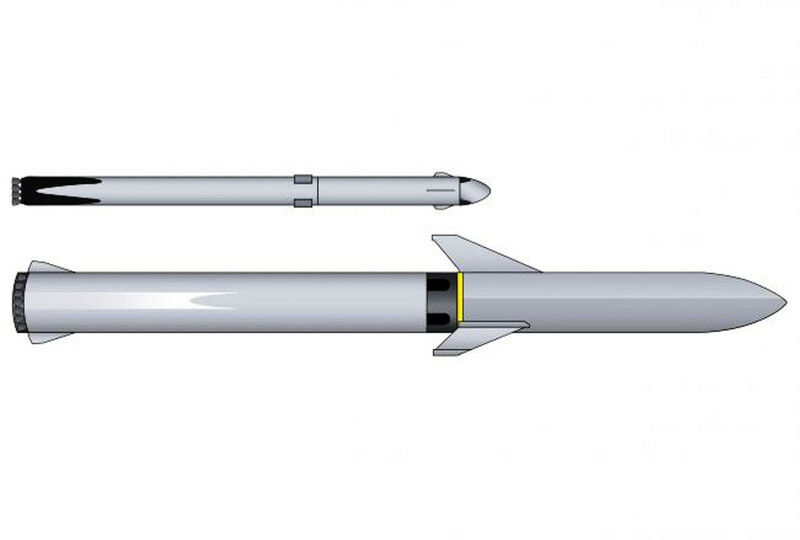 According to the FAA, the side boosters will land at Cape Canaveral Air Force Station’s Landing Zone 1 while the center core booster will land on SpaceX’s droneship, likely Of Course I Still Love You, in the Atlantic Ocean off Florida. We are not only trashing Earth; we are trashing space. (CNN)India's anti-satellite missile test created at least 400 pieces of orbital debris, the head of NASA says -- placing the International Space Station (ISS) and its astronauts at risk. He added: "It is not acceptable for us to allow people to create orbital debris fields that put at risk our people." Indian Prime Minister Narendra Modi announced on March 27 that the country had achieved a "historic feat" by shooting down its own low-orbit satellite with a ground-to-space missile. Only three other countries -- the US, Russia and China -- have anti-satellite missile capabilities. India's Ministry of Foreign Affairs said in a statement that the test was conducted in "the lower atmosphere to ensure that there is no space debris," and "whatever debris that is generated will decay and fall back onto the Earth within weeks." But Bridenstine said the Indian test had increased the risk of small debris hitting the ISS by 44% over the 10 days immediately afterward. "All of those are placed at risk when these kind of events happen — and when one country does it, then other countries feel like they have to do it as well." NASA is tracking 23,000 pieces of orbital debris 10 centimeters (almost 4 inches) or bigger. A third of all debris cataloged by NASA was created in 2007, when China conducted an anti-satellite test, and in 2009 when American and Russian communications satellites collided. However Bridenstine said India's test was conducted low enough that "over time, this (debris) will all dissipate," with the ISS and all astronauts on board safe. And we have CONFIRMATION that Falcon Heavy's static fire test has slipped to tomorrow, Friday, 5 April. 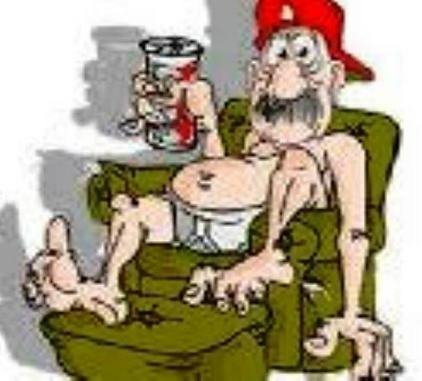 Test window is 10:00-19:00 EDT (1400-2300 UTC). Launch date is slipping, too. Will not be Sunday. SpaceX will confirm a new launch date once Static Fire is complete. Sigh.... Now it's not until Tuesday night! I won't be able to stay for launch! Manufactured by Lockheed Martin for the Saudi Arabian Arab Satellite Communications Organization, Arabsat 6A will be positioned in geostationary orbit providing television, internet, telephone and secure communications, to customers in the Middle East, Africa and Europe. The launch date is currently targeted for Tuesday, April 9, 2019 at 10:36 PM. Launch has been delayed again! Ugh! Please note: No other forms of visitor complex admission will be accepted for this launch, including previously purchased daily admission. 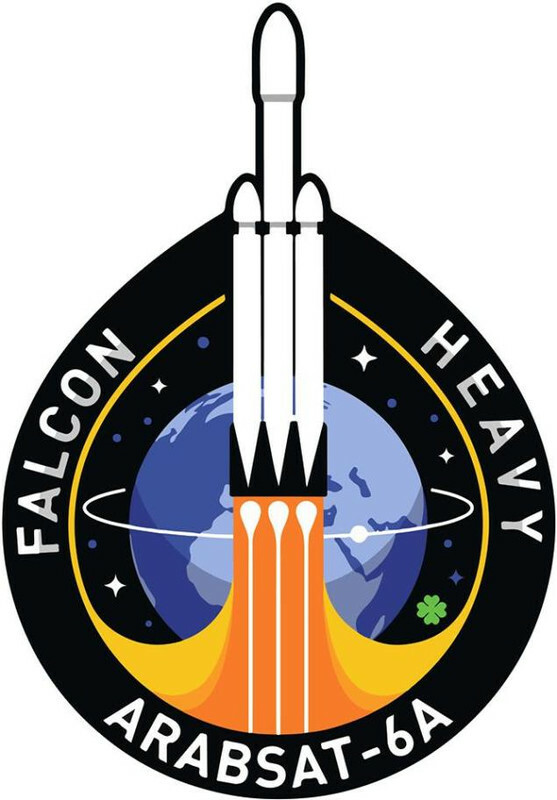 Be sure to visit the SpaceX Falcon Heavy Arabsat 6A web page for all of the most up-to-date information ahead of the launch. Launch viewing packages for SpaceX Arabsat 6A apply to this mission only. All launch viewing packages are non-refundable. Launch now scheduled for midnight, Eastern time! 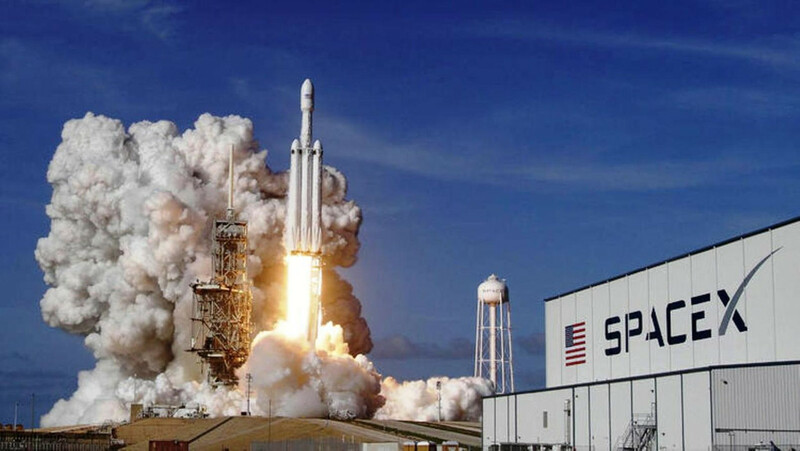 SpaceX Falcon Heavy Arabsat 6A has been postponed. The next attempt is scheduled for April 11, 2019 at 6:35 PM EDT. 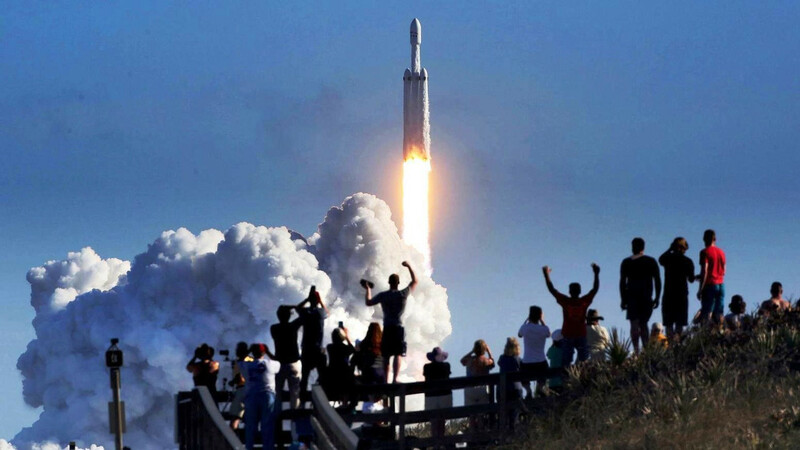 Due to the special nature and high demand of this launch, Kennedy Space Center Visitor Complex remains open to only guests with a Falcon Heavy launch viewing package. No other tickets will be redeemable on the day of the launch including annual passes, employee complimentary tickets, vouchers and any pre-paid admission tickets. Successful launch! Both outside boosters have landed successfully at the Space Center! The middle booster has landed successfuly on the boat. 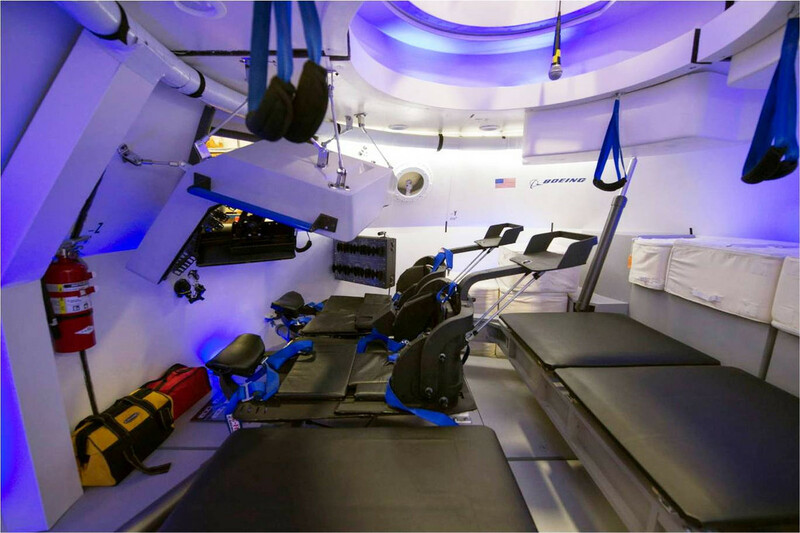 Current speed of the capsule is 26,722 kilometers per hour. Current altitude is 165 kilometers.